Spring Meadows neighborhood of eleven single-family homes located in McLean, Virginia. The community features brick, Colonial-style homes sited on lots that are approximately 3/4 of an acre in size. Homes in the community were built by Chadsworth Homes in the 1995 to 1996 timeframe. 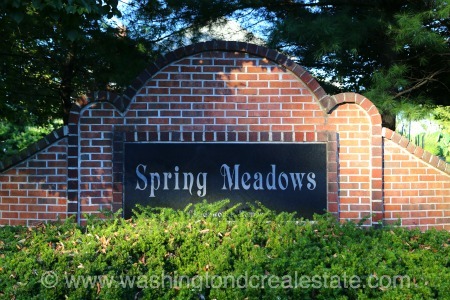 The Spring Meadows neighborhood is located in McLean off Spring Hill Road south of Old Dominion Drive and opposite the Woodlea Mill community. Homes in the community are located on Chadsworth Court. Spring Meadows is served by the Spring Hill Elementary School, Cooper Middle School and Langley High School.